He did 41. 41 damn pull-ups. That’s nearly 40 more pull-ups than I can do. 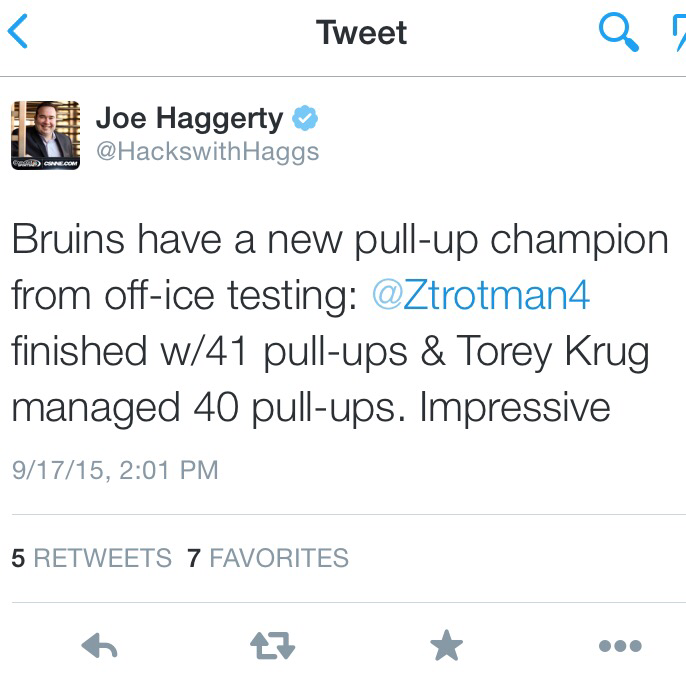 And how about Torey Krug? Just sneaking in there with 40 reps like it’s no big deal? Very impressive. Trotman is primed to have the strong season we’ve been cheerleading all summer. We reached out to the Bruins communications department to find out how many reps Trotman’s legs did but have yet to receive a response. BostonPucks.com figured it has to be around 40.5.